Looook into my Crystal Ball! Is that a Ketchup Stain? On top of reciting everything I read, like Ron Burgandy, I’m also very good at not predicting a truthful outcome. So here goes some of my free agent predictions. Try to think the exact opposite of everything I pick, in order to get a good hint into what really might happen! I thought a prerequsite for looking into a crystal ball is that you have to be able to see? Or maybe not. Being less drunk might also not help, hmmm yes. A.J. Burnett – I see that you will sign a deal worth about 18 million with the Boston Red Sox. The Blue Jays cannot afford that, and the Yankees will get cold feet because of your injury status. The Red Sox are gamblers, and they have the money. Pat Burrell – A lot talk about you right now, lets see. I see you going to a small market franchise and being signed for less than what you are actually worth. This will occur at the end of free agency. Foggy but the team could be the Marlins, or Tampa Bay. Mark Teixeria – You are catching interest from the Nationals, but I still think that you will be in New York. As I’ve said all along. You are a good fit there. This probably hurts their chances. I’m not even going to mention CC, because I know he is going there and I don’t want to jinks my chances of getting everything wrong! 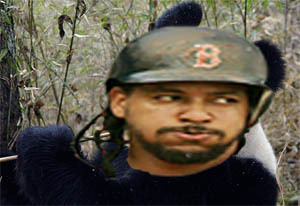 Manny Ramirez – You are definately going to a large market. The L.A. Angels look the one maybe, like they need any more outfielders, but I see it for L.A. Oh no, that could be the Dodgers! Derek Lowe – Who will be wise enough to get Lowe? I see a large market team, because he will command a fair chunk of change. I don’t know, I think he is back with the Dodgers, there is no way they can lose so much of what helped them succeed last season. Orlando Hudson – Loved this guy in Toronto and I’m glad that he is getting serious consideration. Kelly Johnson is being shopped by the Braves. Hudson is a southern boy, so I’m saying he ends up with the Braves if he doesn’t cost them ‘an arm and a leg’, ha ha! Cliche. Man, that might be the most annoying thing I’ve ever written, I apoligize. Rafeal Furcal – I don’t think the Blue Jays really want to pay for him. I understand shortstop is a need, but we have the defense in Johnny Mac. He probably will be too much for the Jays to sign anyway. I’m all for getting him if the price is right, but I would rather the Jays look for power hitting, or pitching. Furcal goes to the Giants, they are liking him right now. By the way, always respected the cannon Furcal has at short. Ben Sheets – If the Mets are not able to swing a deal with Tampa Bay for Sonnastine, or Jackson, they panic and end up spending a lot, like they normally do. Sheets to the Mets maybe, I know they too are strapped for money. Here is one that makes no difference to anybody. Jay Payton – The guy has underachieved his whole career. A fine athlete but needs to find some way to be threatening at the plate. Hiroshima Hawks. Sidney Ponson – What team wants to go through the pain of having this guy pitch for them, “Oh Ponson, are you too good to be on the Rangers?” Give me a break. He ends up playing on the ‘Wal-Mart Mens Slo-Pitch’ team, position catcher. Anyway, that is all I got! I’ll be back with more history next post. I was just trying to amuse myself writing this, I could actually be right about some of these predictions, I concede that, I don’t want to dash anyones hopes reling on me to fail, or expecting their coveted player to go to the team that I actually predicted. A certain Toronto sports radio station told me to look up this article on the Jays and their future. ESPN.com writer Howard Bryant wrote “Blue Jays Hoping Late Run is just the Beginning” on their website today. He pulls quotes from Red Sox first baseman, Sean Casey, and J.P. Ricciardi throughout the article. I find it interesting that the article gives you the idea that the Blue Jays future success is only dependant on the return or departure of A.J. Burnett. Don’t get me wrong here, A.J. Burnett has been a big part of our sucess this season. But he is only one player, and a pitcher at that. The reason for the Blue Jays being a scary team that no in the league wants to face, is the rotation and bullpen. Joe Maddon, Rays Manager, says “the Blue Jays have the best front-end rotation in the league.” He is right. We certainly haven’t been winning games, until recently, with our bats this year. If the front-end of the Jays rotation is so feared, then what are we without one of it’s pieces? According to this article, and the impression of the Blue Jays ‘from the outside looking in’, is apparently not much. Is there a chance A.J. will not opt-out? Do we want to sign him if he does? 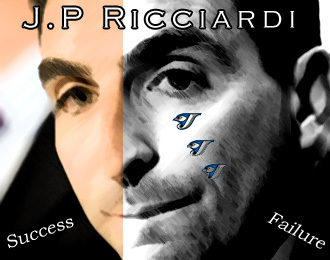 (for a catastrophic amount) Do we give up on J.P. Ricciardi like we gave up on ‘his boy’ John Gibbons? Can we have the kind of year Tampa has had? Can this team beat Tampa? Under Cito, do the Jays have to ability now, to put together one of these years? We have definately proved that during the second half of the season. Does that make you, as a Jays fan, confident? Or is the loss of A.J. Burnett the ‘end all be all’ for this team? It will hurt, but I think that that is a bit of an exageration. If the fate of the Blue Jays, post-A.J. Burnett, turns into a mediocre and disappointing season in 2009. Then the ‘evil economics’ of baseball will have reared its ugly head on the Jays again. Succumbing, once again, to the ‘Evil Empires’ of New York, Boston and maybe now LA.